Making your home smell good without much waste isn’t that difficult, truth be told. There are plenty of alternatives to plastic air fresheners, aerosol cans, and plug-ins. These alternatives are so simple they're often overlooked; thankfully they're more pleasant to use and just as convenient. 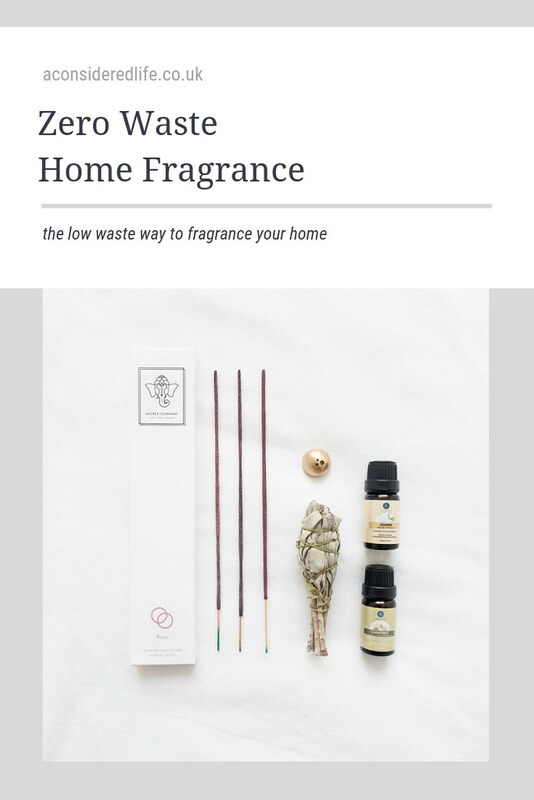 I’ve explored all the options for home fragrance from oil diffusers to DIY solutions so you can pick the best match for you and your home. Here's how you can keep your home smelling nice without the waste. If you love your home to smell great all the time, an electric diffuser is the most efficient and long-lasting low waste option. It can also help struggling houseplants that need more humidity (just place your diffuser near the plant and run it without the essential oils). I have a MUJI Aroma Diffuser and while I do recommend them, there are cheaper options and you may be able to pick up an unwanted pre-owned diffuser (especially around the holidays) online or in charity/thrift shops. A pack of essential oils shouldn’t cost too much, they’ll last a long time too and have lots of uses. Make you own reed diffuser by placing essential oils in a jar and popping in some wooden sticks or cotton buds to diffuse the oils. 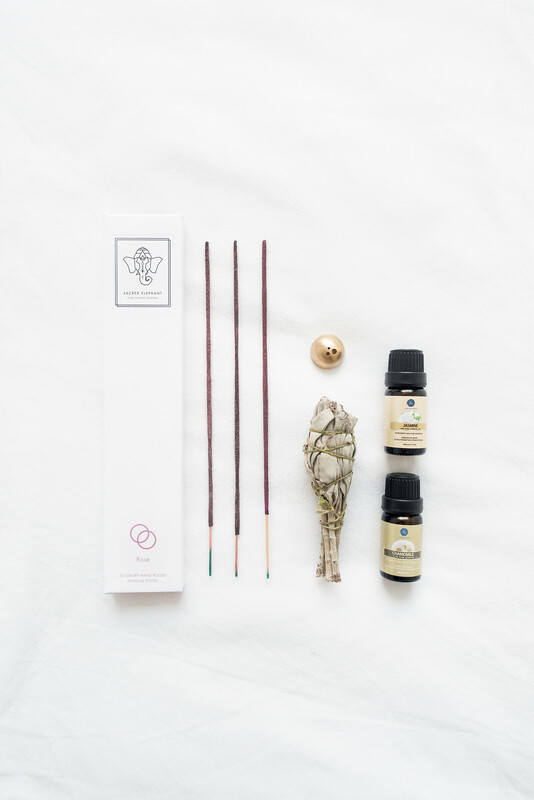 Incense sticks are often made from aromatic natural materials making them fully compostable and eco-friendly, and possibly the most affordable home fragrance options. Incense does tend to have a strong distinct fragrance that is perhaps not liked by everyone. I thought I didn't like incense until I discovered Sacred Elephant available from The Future Kept, which produce the most beautiful fragrance. You can also find incense is charity/thrift stores for real cheap. I use this beautifully simple brass holder to burn my incense in but popping a stick in an jar of sand or compost works just as well if not as pretty! Potpourri is perhaps a little old fashioned yet wonderful nonetheless, and can be made with otherwise wasted ingredients. Dry some citrus peel and slices, mix together with star anise, cinnamon sticks, and nuts, perhaps a few pine cones and sprigs of fir for decorations, and arrange in a bowl to leave in your hallway or coffee table for a warm spiced fragrance as you step through the door. Make a fresh herbal potpourri using lavender, rosemary, and dried eucalyptus. It’s a great way to use up past-their-best bouquets and extend the life of herb and fruit scraps. Make you own from a mix of 170ml distilled water, 30ml vodka/gin, and a blend of essential oils (25-30 drops). Mix together in a spray bottle and keep wherever you like, tailoring the fragrance to whichever room you want to use it in. Shake the bottle up before use and spray liberally for a wonderfully scented room (that will also mask smells). Another way to naturally fragrance your bathroom (and to prolong the use of your bouquet) is to hang eucalyptus in the shower. The steam will work as a diffuser, diffusing the natural eucalyptus fragrance into the air. This is a neat trick I was skeptical would work - but it does! Half a cup of bicarb (baking soda) and 20 drops of essential oils mixed together in a jar or small pot creates a light fragrance that keeps your room smelling fresh. It prevents you from having to reset a diffuser or leave incense unsupervised. I like to use a blend of orange and sandalwood for a citrus kick to cover up any unpleasant smells in the bathroom. This DIY air freshener can left to work its magic for a few days, and when its fragrance starts to fade, simply shake or stir the powder adding more essentials oils as required. How do you fragrance your home?